For this PBS blogging journey activity, I have to find out the minimum height to ride the stratosphere and why I think there is a height restriction. There are two different modes of the ride, the very extreme and the less extreme. For the very extreme (360 degree swing angle) mode, the height restriction is 150 centimeters. For the less extreme (45 degree swing angle) mode, the height restriction is 130 centimeters. I think that there is a height restriction because if you are a young/small person, you could slip off your seat and fall. For this activity, I had to use google maps to locate Rainbow's end, find out how much it costs for a family pass and I had to find out how much it would cost for my family to go. I find it weird how if you buy tickets online, you get them for a cheaper price than buying it at the gate. To celebrate Panmure Bridge schools 60th year, we had a school production. Every class had one or more dances. In LS2, our three dances are: Stayin' Alive, I See Red and Footloose. I was in the Stayin' Alive group. I also performed with the Senior Kapa Haka. Before I started performing, I was really nervous but once I got up on stage I felt a lot better. Everyone had heaps of fun Panmure Bridges 60th year. For Kiwi Can today, LS2 played three games: The objects game, hand soccer and 10 down. In the objects game, we had to use a hula hoop to act out different objects like a trashcan or a basketball hoop. For the second round, we had to use two pieces of paper to act out different objects like some tissues or a book. Hand soccer is basically soccer but instead of using your feet, you use your hands. 10 down is a game where you pass a ball to a teammate who taps the ball on the ground and passes it to another teammate. Once your team taps the ball on the ground 10 times, your team wins. The opposition has the same objective (Tap the ball on the ground 10 times). We all had a fun and amazing time. This week LS2 have been learning about advertising. Our task was to pick an advertisement pointing out the things they include to makes us want to buy their product. For example, fast food places like KFC and McDonalds make their product look bigger than the actual size so that people would think that they get good value for their money. Another thing they include sometimes is the color red which is supposed to make us feel hungry. On Wednesday, the year 3-8 students who came first, second and third from the school cross country went down to Bailey Road for the inter-school cross country. Since I am a year eight, I had to do four laps of the course. The other two boys from Panmure Bridge that were racing with me were AJ and Te Wai. At the end of the race we were all really exhausted. We all managed to do decent in the race as we all came in the top ten (Out of about thirty). More importantly, we all had a lot of fun. This is a flowchart about Democracy. First of all, we had to define the word democracy which is a form of government where some people are elected by the rest of the population to have supreme power over all. I learnt that democracy originates in Greece. I worked with AJ, CJ, Shannon, Fraidoon, Eric and Oh Hsen. Last Thursday Panmure Bridge school went across the road to Dunkirk Park for our cross country. The youngest students went first with the older ones going last. Everyone ran in their year groups apart from the year five and sixes who ran together and the year seven and eights who also ran together. The year ones did one lap, the year twos did two, the year threes did 3, the year fours did four, the year fives and sixes did four and the year seven and eight's did five. I managed to come first with my friend AJ. In LS2 we have been doing a film study about the movie The Princess Bride. Once we watched the movie, I made a DLO about the character introductions that happen in the film. The character introductions are about the main characters who are Buttercup, Westley, Inigo, Fezzik, Vizzini and Prince Humperdink. Today in LS2 we were learning about coalitions and how they can change/affect the elections. A coalition is an alliance which is formed between political parties. In the N.Z. election, Winston Peters (who is the NZ First party leader) basically decides whether Labour or National wins the election. So if he decides to team up with Labour, they will have enough seats to become the new government and vice versa for National. For this week, LS2 have been learning about elections. For this week, we learnt about Prime Minister's and a former New Zealand Prime Minister named David Lange. He was the thirty second Prime Minister for New Zealand and he helped make New Zealand nuclear free. This week LS2 have been learning about elections. First, we learnt about the main party's of the election and their leaders National, Labor, Green, Act, Maori, NZ first, Opportunities and United Future. To create this DLO, I worked with AJ, Oh Hsen, Fraidoon and Eric. When I finish primary school and college, I hope to go to university although I have no idea at the moment what I would like to study. One of my hopes/dreams for the future is getting a job I would like to do. I know some people that have a job hate it, but they still turn up so they can earn some money. When I grow up I would like to be a aeroplane pilot or a navy sailor. I want to be a sailor because I love being out on the ocean, I enjoy ocean activities like sailing, kayaking and swimming and I never get seasick which is a added bonus. Being a pilot would be a bit harder as I'm kind of scared of heights, although I'm sure I could overcome that fear. In the summertime, I am usually on my computer playing games or doing the Summer Learning Journey. One of my favorite activities during summer is definitely doing the Summer Learning Journey. Most people probably think doing something that is similar to work during the holidays is boring but it can be interesting and you can learn lots of different things you can do during the school holidays. 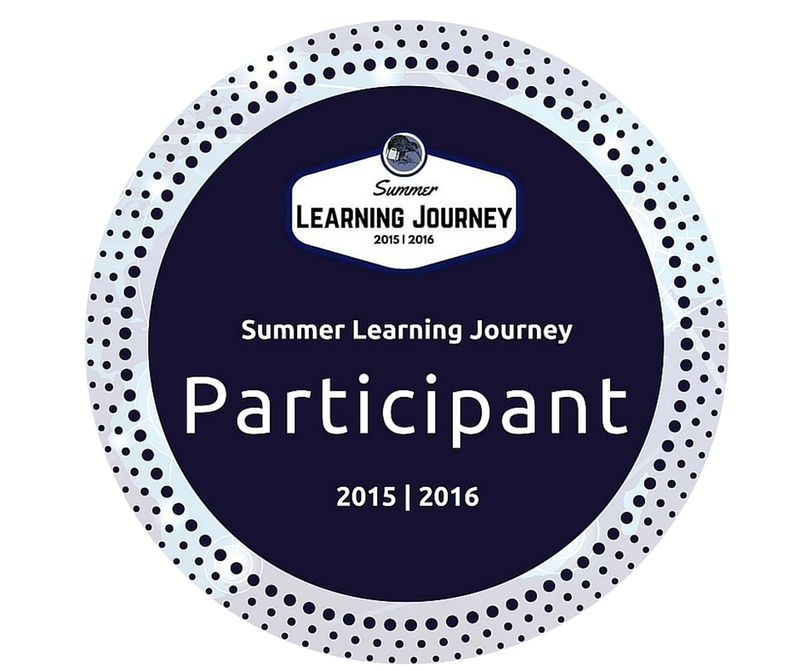 I have participated in the summer learning journey twice so far. I decided to participate in it because I had nothing to do so I was really bored. Once I finished the first activity, I decided to just keep on doing it. The two Summer Learning Journey programmes were about countries. In the first one, I chose the United Kingdom and I learnt about four countries that the United Kingdom is made up of (Wales, Ireland, Scotland and England). On the second Summer Learning Journey programme, I decided to choose Canada as my country. I learnt that, while most New Zealander's probably eat cereal for breakfast, Canadians enjoy eating pancakes and maple syrup. 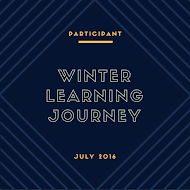 I really like doing the Summer Learning Journey programme as it's a great idea to help students to learn over the holidays. I go to Panmure Bridge school and my favorite thing about Panmure Bridge school is how we are a digital school. It's great how all of the seniors have chrome books and all of the juniors work on iPads to help them with their learning. Going to a school that is part of Manaiakalani is awesome because we can connect with many other students in our area by going on their blogs and commenting on their work. Some of the advantages of using chrome books to learn are being able to delete a mistake easily, being able to spell every work properly and the best thing about being able to use a device is that I can type faster than I would if I used a pen and some paper. I have two favorite subjects at school: Maths and PE. I like maths because it's really challenging and fun when I try to work out the hard questions we sometimes get given. I also like PE because sports is one of my favorite things to do during school time or after school. Some of my favorite sports are: soccer, rugby and touch. My name is Daniel and I live in Panmure, Auckland. There are five people in my family: my mum, my dad and my two brothers. Some of my likes are playing sports or playing games on my computer and some of my dislikes are drawing pictures because I'm horrible at drawing. One of my hobbies is camping which I always find fun. I've been to four different scout camps so far and I enjoyed every single one. Some thing my brothers and I do for fun are playing computer games together or playing sports or going on the trampoline outside. After lunch today, LS2 went onto the Tamaki College overdrive which is basically a website with loads of different e-books on it. 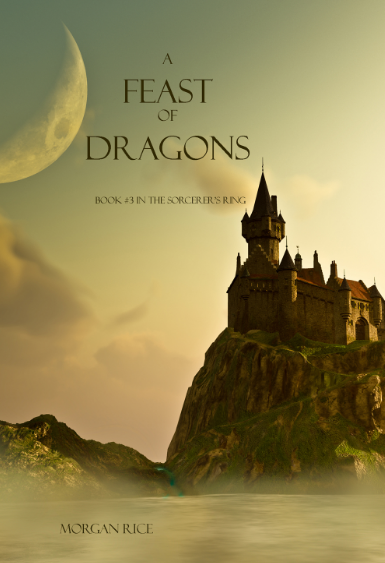 I looked around for a bit and chose a book called A Feast Of Dragons by Morgan Rice. It is the third book in the Sorcerers Ring series. I picked it because I'm currently reading the Sorcerers Ring series and I found the first two really interesting. It's about a boy called Thor who goes to a training place where he has to learn how to fight and defend himself. The overdrive is a great website because we don't have to go to the library to read some books and they have a great selection of books. For this week in writing, we have been learning about two word sentences. We came up with a list of two word sentences then used them to create a compound sentence and a complex sentence. The two word sentences I decided to use are: I'm sorry, stay inside and that's absurd. On Friday, the year eights went to Tamaki College for the whole day to experience what it is like at a college. We had a couple of classes that would be like the classes we would have next year, in Year 9. After interval we had maths and science, and after lunch we had English and PE. Maths was run by Mr Jones, Science was run by Mr Stoddard, English was run by Mr Stevenson and PE was run by Mr Moyes. In Maths we played a game called battleships which is a game where you have to sink all of your opponents ships using co-ordinates. During our time in Science we did some experiments with electricity like making water bend by using a piece of rubber, that was weird how we made the water move in that way. After lunch we went to English where we had to memorize ten words and get some visual images for them. We ended our day with PE where we played a really fun game called turbo touch, which is kind of like touch, but it has different rules and a different setup. We all had an amazing and great time. A big thanks to Tamaki College for providing food (Which was yum!) and transport for us. It was a great day of learning that we all enjoyed.